I invest in stocks and properties. But, when it comes to futures, I have to admit. My knowledge of it is pretty novice. I did not give much thought about futures until recently. I had an opportunity to host a series of webinars on futures trading with Ms Choong Ty’ng Ty’ng, an industry veteran, author, and pro-trainer in the subject of futures trading in Malaysia. From it, I have understood futures trading a little better and how it can be used effectively to build and protect wealth. In this article, I’ll use the FKLI to share five key reasons why you might want to start considering futures trading. What is the most efficient method to begin investing or trading shares of every 30 largest stocks listed on Bursa Malaysia? Is it to enter the stock market and buy shares in all of these stocks? Technically speaking, you can do so if you have a huge capital to start with. Let me explain. Today, Maybank is trading at RM 9.55 a share. You may buy a minimum of 100 shares in Maybank for RM 955. Then, we may proceed with Public Bank, CIMB, RHB, HLB, Genting, Maxis, Digi, TNB … etc. In the end, you would have made a total of 30 separate transactions to gain exposure to all 30 largest stocks listed on Bursa Malaysia. You opt to buy shares in all 30 largest stocks. How much does it cost to buy a minimum of 100 shares in these 30 stocks? As stated above, you would invest RM 955 in Maybank. Subsequently, you may invest RM 2,498 in Public Bank as its stock price is RM 24.98. What about other stocks like CIMB, RHB, HLB … etc.? I do not have the exact figure. But, suffice to say, the amount is enough for you to put that as a down payment for a piece of property in Kuala Lumpur. Also, please do note that I did not include brokerage fees and stamp duties for each of these stocks. Instead, the FKLI offers traders an opportunity to have a position in the KLCI by placing a small deposit known as margins. At the point of writing, the KLCI is trading at 1,729 index points. Hence, the contract size for the FKLI is RM 86,450 as it is calculated by multiplying the KLCI’s index points with RM 50. Option 1 – You invested RM 86,450 into a stock portfolio. Option 2 – You placed RM 4,000 to buy one contract of FKLI worth RM 86,450. The value of your stock portfolio increased to RM 90,772.50, an addition of RM 4,322.50. Congratulations! As stated above, if the KLCI is trading at 1,729 index points and has risen to 1,815 index points, an addition of 86 index points. It is worth RM 4,300 in profit as an index point is worth RM 50. As you placed RM 4,000 to execute the trade, your total return on this trade is 107.5% (RM 4,300 / RM 4,000 x 100%) despite the KLCI increasing at a quantum of 5%. You can choose to sell your shares or hold onto them. You are an investor who manages a stock portfolio worth RM 1 million. From it, you are receiving a dividend yield of 5% or RM 50,000 in dividend income every year. If you believe that the sentiment for local stocks is terrible. As an investor, you are concerned as it may negatively impact the market value of your stock portfolio. So, what can you do? Supposedly, you believe, the FKLI could potentially drop by 5% in the following few months and, as a result, may cause the value of your stock portfolio to fall by 5% – effectively wiping out your dividend income of RM 50,000. Hence, you decided to short 10 contracts of the FKLI. The initial margin for one contract is RM 4,000. The KLCI is trading at 1,729 index points and true enough, it fell by 5% to 1,643 index points. It is a drop of 127 index points, and thus, you gained RM 6,350 for each contract. As you shorted 10 FKLI contracts, your total gains for these trades are RM 63,500. In the meantime, your stock portfolio had fallen in value by 5% to RM 950,000 from RM 1 million. It lost RM 50,000 in value. Thus, you could use the gains of RM 63,500 from shorting the FKLI to offset the value fall of RM 50,000 in your stock portfolio. As such, you have ‘hedged’ or protected your portfolio from a potential fall in the stock market. This document has been prepared solely based on the writer’s own opinion and does not in any manner constitute representations and/or investment advice made by Kenanga Futures Sdn. Bhd. The views and opinions expressed herein by the writer should not be taken to mean that it has been duly authorised nor endorsed by Kenanga Futures Sdn. Bhd. Listed derivatives products are based on highly leveraged margin trading. These contracts carry a very high degree of risk and trading such instruments may expose investors to substantial losses as well as gains. The price of the products offered may fluctuate higher or lower, and under circumstances an investor may sustain total loss of their investment. As investor should make an appraisal of the risks involved in investing these products and should consult their own legal, financial, tax, accounting and other professional advisors, to ensure that any decision made is suitable with regards to the investor’s circumstances and financial positions. 12 replies to "Top 5 Reasons Why You Should Start to Trade Futures"
Thank you for your value sharing. Can you recommend me which futures broker I should use? Which brokers offer better trade commission/fee? Thks. investment is a zero sum game .if no one lost money how to make money. the biggest is gambling. the greatest risk is tak tau (em chi) hahaha. the greatest attraction of futures is the leverage which people yet to see through their mind. 15 years ago the only source to learn futures is through reading paper notes. now a days unlimited source from utube not to mention webinar . have any notice going down is great than going up. when recession nothing can do except shorting futures. that why business people/investor don’t like future but financial minded like trader favourite derivatives. I believe these are just informations that may help you to start investing. It is not a personal advice crafted for specific individual nor current market condition. It is up to the readers to go about enough research prior to deciding what is best for them. Those following this blog are reading because they want to start making money and I don’t see why the blog can’t make money for itself through sponsors or new products. For me, it is an exposure to latest news or products on market in a single platform. 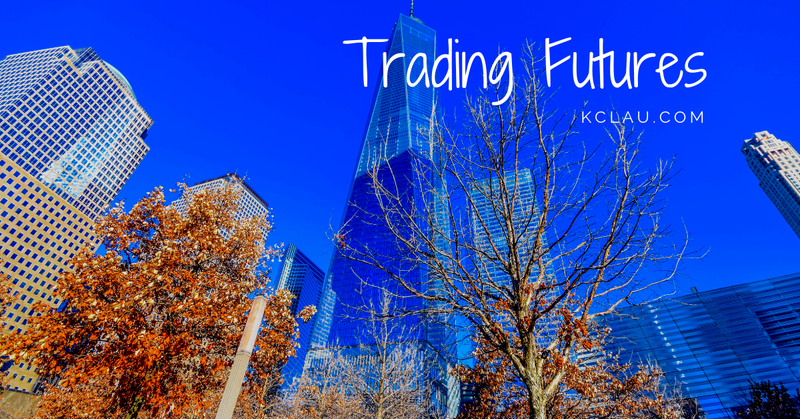 Futures trading is a long learning process. I had decided some few years back that I will instead park my money with a very experienced futures trader. And even he with more than 10 years of good trading record, did not always make profitable results. Safe to say, that he did not lose my money but profits was never ever near 100%! It is indeed not an investment tool for the faint hearted. Be a savvy investor. I am a newbie in stock and retiree. For the start i wish to spend RM 15,000 to invest. Pls advise how you can help and fee charge. This blog was once an ok resource for learning about financial litearacy but is such trash now. Two of the three most recent post promoting futures, so that they can promote some sponsored product WITHOUT ANY warning as to its pitfalls – bearing in mind the unstable marlet conditions both nationally and globally – is the height of irresponsibility. Ironically the post before this one spews the typical Buffett advice about investment being a marathon not a sprint, but yet posts like these go up. Hi Timothy, I appreciate that you voice your opinion here. You are right about the pitfalls. And there are pitfalls in all type of ventures. I also encourage people to do business even though I know 90% of startups will lose all their capital and eventually fail. I encourage people to buy stocks and as you know, most people still trade stocks like gambling chips. I also encourage people to buy properties with maximum leverage, and there are many people got a lot of money stuck in properties that can’t fetch a rent. I think it is up to a mature adult to digest the content, and make an informed decision for herself/himself. if i would like to trade for beginner which instrument will be the best ? Thanks for this precious knowledge KCLau..?.. I agree. That happens. I think the best usage is to hedge and lock the gain of a sizable stock portfolio, during a meltdown, because when you have a huge portfolio, it is hard to exit the market fast enough.